Arsenal are on a roll following nine straight wins in all competitions and their in-form attacking weapons should be too powerful for Leicester at Emirates Stadium. The Gunners have averaged three goals per game during that hot streak, with Fulham thrashed 5-1 on the road last time out. It was 4-3 to the hosts when these teams met here last term, so 19/20 for Unai Emery’s side to prevail and over 2.5 goals in the game seems an obvious Arsenal vs Leicester prediction. Arsenal made it five Premier League victories on the bounce when running riot in the second half at Craven Cottage and went into the international break just two points off the summit. Strikers Alexandre Lacazette and Pierre-Emerick Aubameyang bagged doubles versus Fulham, while Aaron Ramsey also netted with a sublime finish. After recovering from a shaky start to the campaign, Emery enthused: “We believe in our process but also we must keep taking confidence. 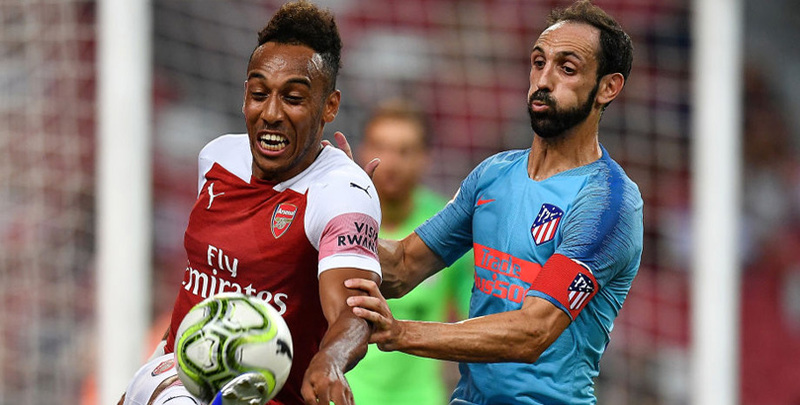 Aubameyang has scored six goals in as many games to just outstrip Lacazette and 13/4 for the Gabon star to break the deadlock gets our vote from the Arsenal vs Leicester odds. Last Arsenal line-up: Leno, Bellerin, Holding, Monreal, Mustafi, Mkhitaryan, Torreira, Iwobi, Xhaka, Lacazette, Welbeck. Arsenal could welcome back Mesut Ozil after the playmaker missed the win at Fulham due to a back spasm. He is now back in full training alongside Danny Welbeck, who withdrew from the England squad after a hamstring issue. Ainsley Maitland-Niles and Petr Cech return from leg and hamstring injuries respectively. Sokratis Papastathopoulos (ankle) will be assessed after taking a knock with Greece but fellow defenders Laurent Koscielny (Achilles) and Konstantinos Mavropanos (groin) are still missing. Leicester looked to have built up some momentum with wins over Huddersfield and Newcastle but Everton burst their bubble with a 2-1 triumph at King Power Stadium. Ricardo Pereira cancelled out Richarlison’s opener with a breakaway effort, but Wes Morgan saw red in the second half and the Toffees snatched victory through Gylfi Sigurdsson. “The sending-off changes the scenario of the game,” said Claude Puel. “We had come back into it with Ricardo’s goal and started the second half well, with good intensity. The Foxes have had a few lapses in concentration at the back this season, but do still carry a threat going forward. Jamie Vardy has netted in half of his league games and has an outstanding record versus the Gunners, with six goals in as many meetings over the past three campaigns. Let’s finish off our Arsenal vs Leicester betting tips by taking 8/5 for the pacy forward to further enhance that tally. Last Leicester line-up: Schmeichel, Chilwell, Morgan, Pereira, Maguire, Maddison, Amartey, Mendy, Ndidi, Iheanacho, Vardy. Leicester captain Morgan is banned for this game, while Matty James (Achilles) and Demarai Gray (ankle) are also out.